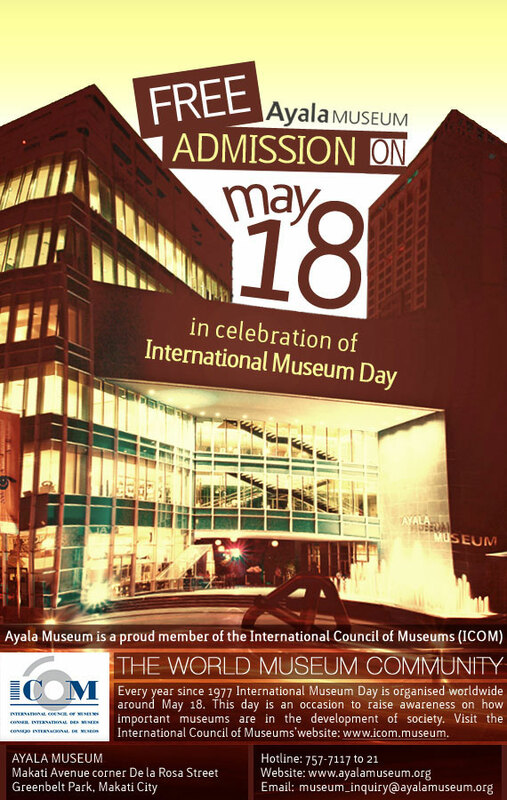 In celebration of International Museum Day, the Ayala Museum offers FREE admission on May 18, 2011. Every year since 1977, International Museum Day is organized and celebrated worldwide on this date, to raise awareness on how important museums are in the development of society. You can check out the International Council of Museum's website. You can get in touch also with Ayala Museum for more information. Please check the poster above.